It was standing-room-only in the city council chamber last week (November 2017), as Pleasanton city officials shined a spotlight on local business. 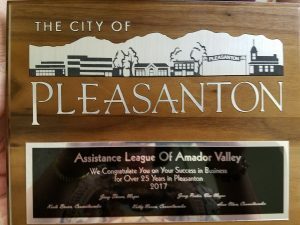 City Council members handed out dozens of awards to Pleasanton-based businesses — large and small — celebrating milestone anniversaries this year. 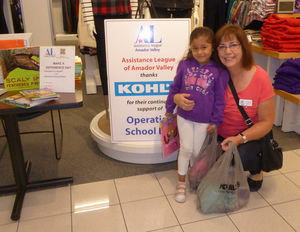 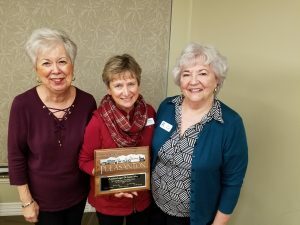 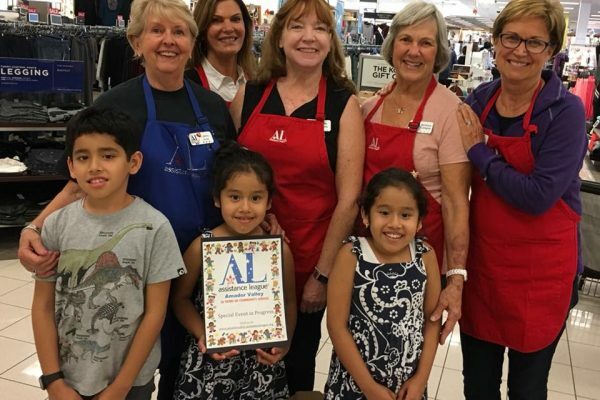 Assistance League of Amador Valley was presented a plaque for its 25 years of contributions to the community. 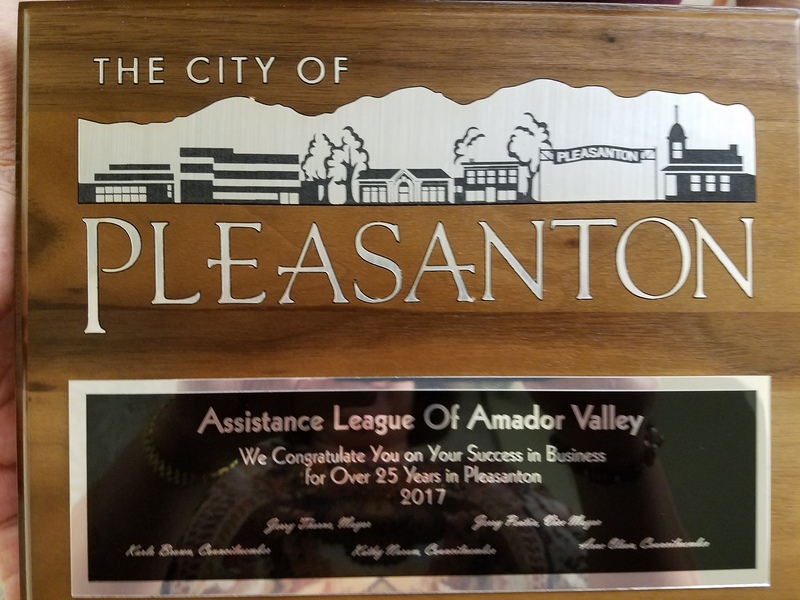 “The city of Pleasanton supports these businesses as a critical component of restoring and rebuilding a healthy economy, as the perseverance, hard work and resourcefulness of small business owners form the foundation of our prosperity and success,” the council’s proclamation stated.